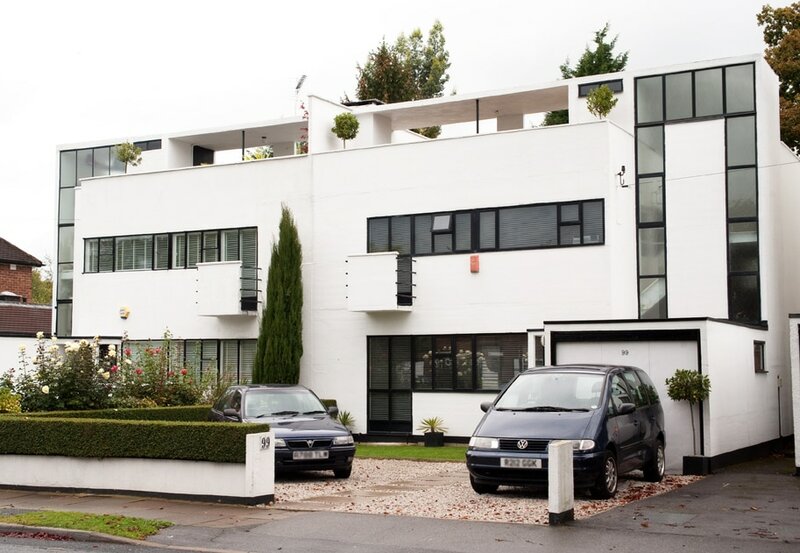 Notes: 97, 99 and 101 Park Avenue in Ruislip are a trio of Modernist houses designed by the partnership of Connell, Ward & Lucas and completed between 1935 and 1938, as part of a projected housing estate. These three houses were the only ones completed. The original plans were strongly contested by the Ruislip and Northwood planning authority, but eventually passed with only minor changes.